Despite having a laptop, PC, iPad and iPhone all waiting in line to purchase tickets for Michelle Obama’s talk to promote her bestselling book ‘Becoming’ at The Royal Festival Hall in London Monday (December 03) – as did my sister and two friends – we all missed out on this once-in-a-lifetime event. 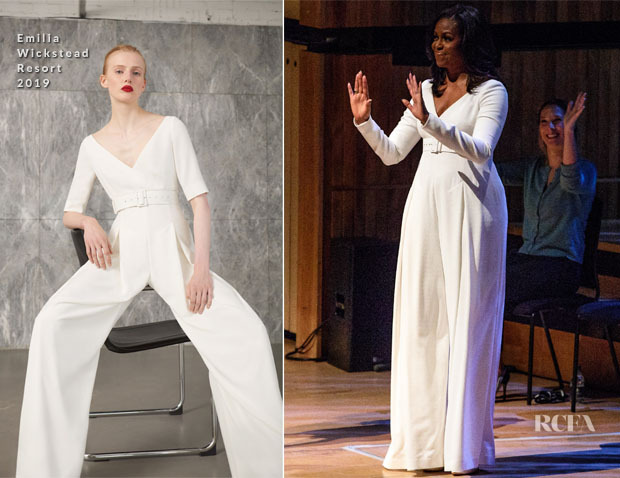 Yesterday I was waxing lyrical about how much I loved her post-office style, but unfortunately I couldn’t get on board with this white jumpsuit from Emilia Wickstead’s Resort 2019 collection. I just can’t get past the high placement of the belt. And I’m not sure I like the trousers either.